This section concerns more advanced customization features. These features give you the opportunity to create nice visual effects for the website or blog you are currently creating. Overlappable sections are sections that are indented into the header, for a more professional or more stylish look. First and foremost, to use the Overlappable sections, you have to choose among the sections that are allowed to overlap the header (for the front page). This is because not all sections available, regardless of their type, are overlappable. For a sample inner page, it is simpler. Any piece of inner page content can overlap the header. 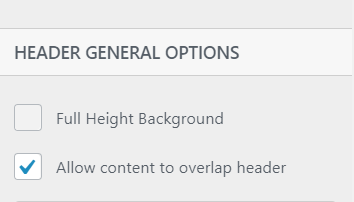 Go to Header Settings -> Front Page Header Background -> Header General Options. Check the checkbox to Allow content to overlap header. 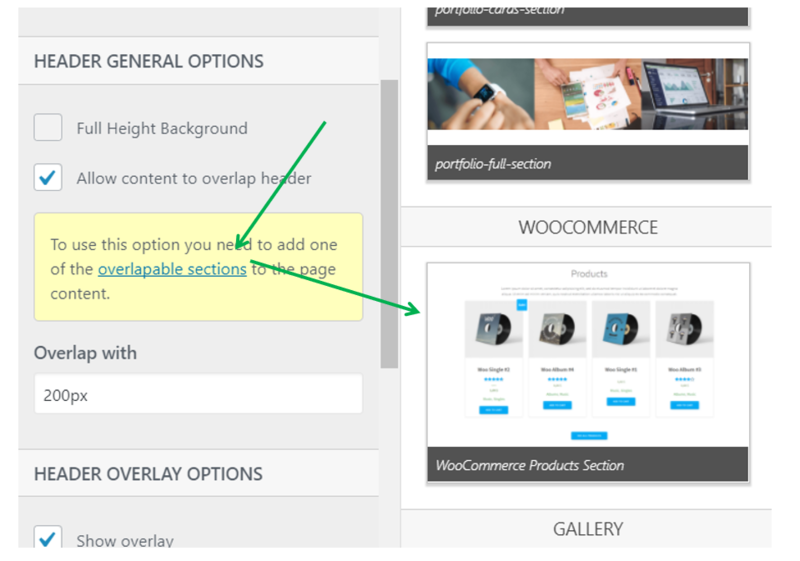 To use this option, you need to add one of the overlappable sections to the page content. The overlappable sections are listed in a panel that opens when you click the link placed on overlappable sections. For ease of use, we lead you directly to the sections that can overlap the header. Overlap with – this function allows for indenting content at a certain vertical distance within the header. The values are given in pixels.